Found the perfect dress but still looking for the perfect fit? 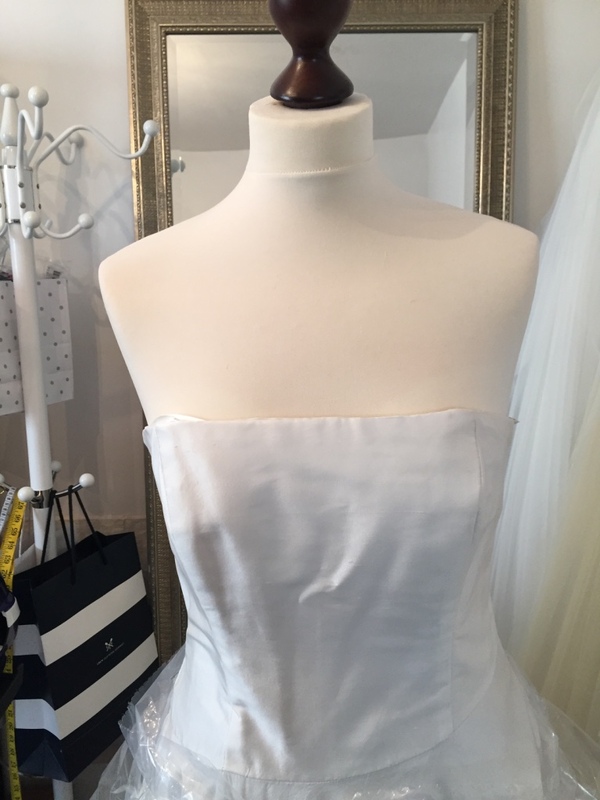 Here at My little Wedding Shop, we offer Bridal alterations and styling appointments. 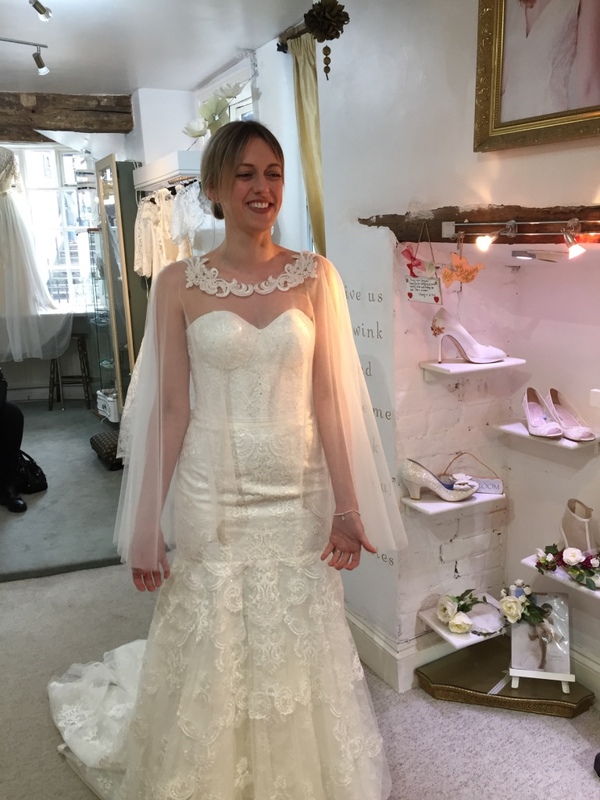 You are more than welcome to bring your wedding dress and any accessories into the boutique to try on and we can give our professional advice on the fit and recommend accessories to match. There is no obligation to our alteration appointments. Any alterations that we discuss in your fitting and the cost of each will be broken down on a quote at the end of your appointment. 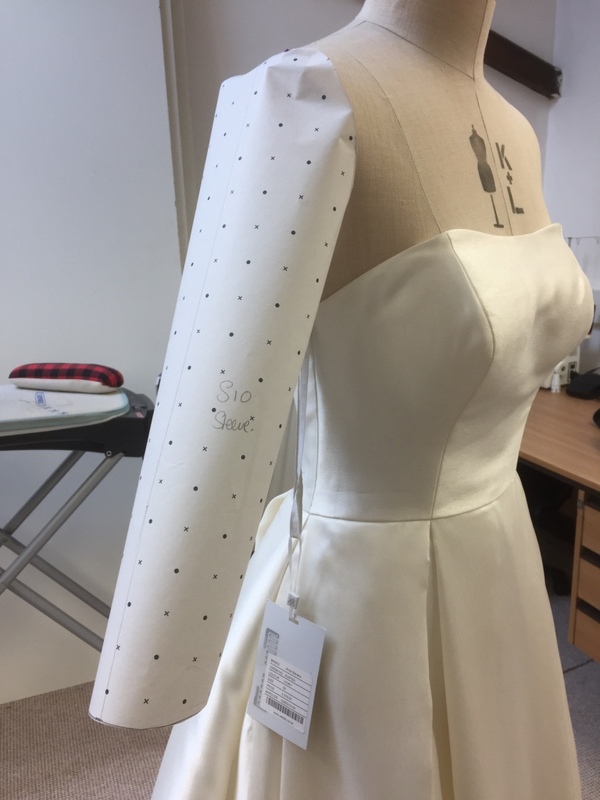 As every wedding outfit is so different, it is very difficult to provide an alteration quote without seeing your dress (and you in it) and we never make an alteration without talking you through it first. It also gives you another chance to try your wedding outfit which is of course, an added bonus! You would be surprised at the potential of even the simplest dress. 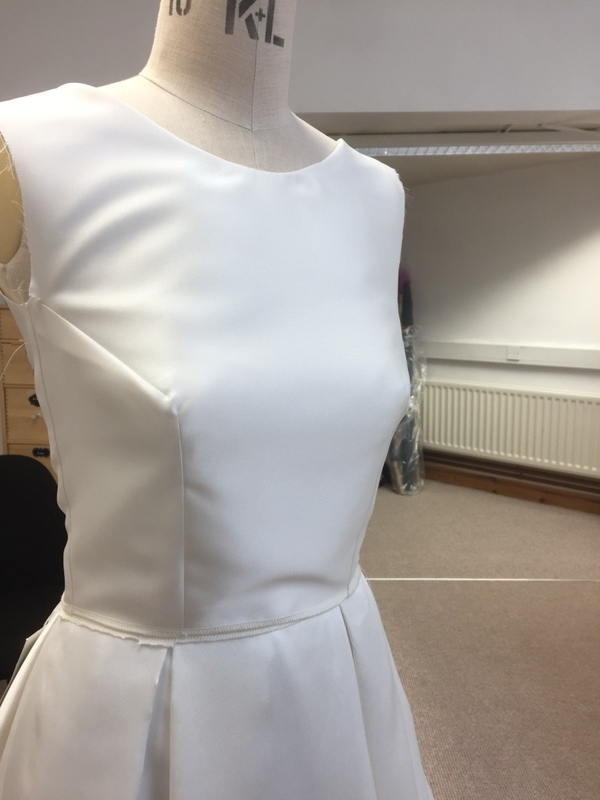 Whether it is adding a sleeve, appliquéing lace onto a bodice, designing a bespoke belt or even just making it the right length so that you can dance carefree - the finishing touches can make an amazing amount of difference! We endeavour to match the fabric or lace on your dress so that any adjustments look seamless (apologies for the pun). We can also combine your appointment with styling and matching accessories. 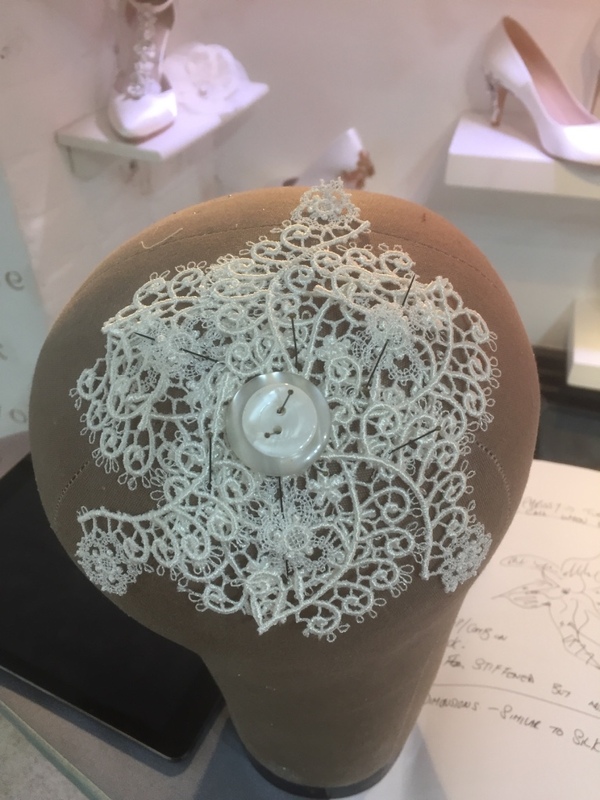 We stock a range of British designed hair pieces, jewellery and shoes from fantastic designers that you can try with your outfit or we can explore creating bespoke finishing touches to transform your gown from day to night. We have a unique range of veils that are handmade in the boutique. These veils are available to try on and order or you can use them as a starting point to designing your own. If your dress has beading on it or a specific lace that you want to match, then we can create a matching veil for you in any length and design as the perfect finishing touch to your wedding trousseau. Not just a guest, the best dressed guest! If you are attending a wedding or special occasion then we have the perfect shoes and accessories for you! All of our Harriet Wilde satin shoes and bags can be dyed to match any colour or outfit, so why not finish off your look with stunning accessories that look like they’ve been made to match? We do alterations to all outfits, so if your not 100% happy with any garment in your wardrobe, get in touch and we can help you get celebration-ready! 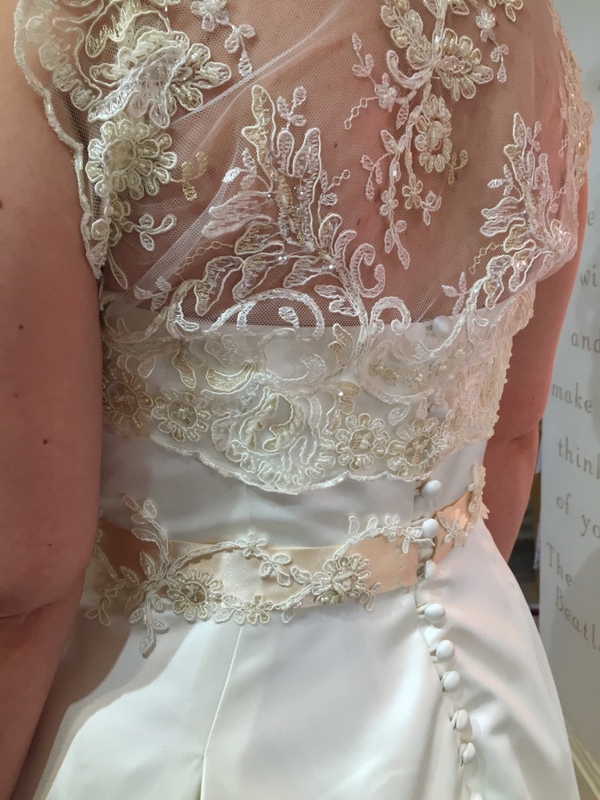 If you want to discuss any possible alterations to your wedding dress/outfit or book a styling appointment then please do not hesitate to get in touch!